Welcome to The Lighthouse in Lincoln City, located in, you guessed it - Lincoln City! This one story home has room for up to six guests, with two bedrooms and two bathrooms! You'll have incredibly close beach access, just a short walk away down the street, with not one, but two beach access points just a short distance apart from each other! There is also a bookstore, a couple of restaurants, and even a chocolate shop selling freshly made chocolate every day just a short walk from this lovely home as well! Next to the bookstore is a playhouse, with plays performing all year, so check out the showtimes while you're here! Step inside, and you'll find yourself in an open space containing both the living room area and the dining area. The sofa pulls out into a queen size couch, perfect for the kids to camp out on during your stay! The dining room table offers seating for up to six guests, so feel free to also eat in the living area! 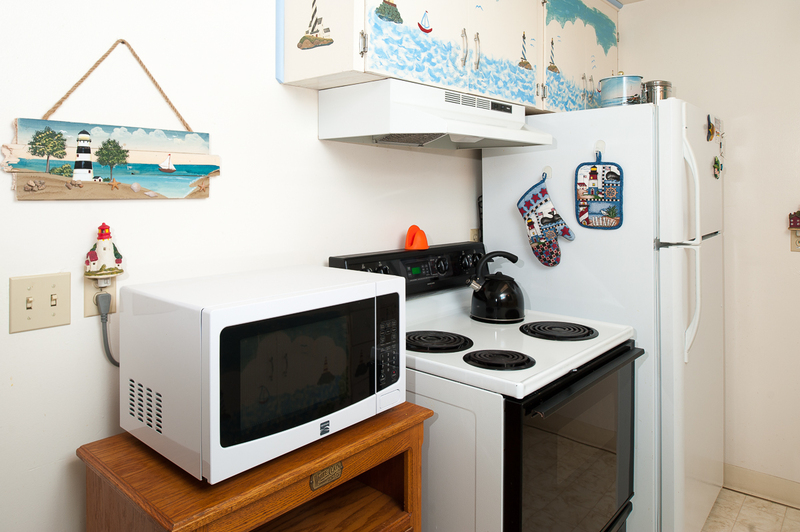 The kitchen is decorated with a cute coastal theme complete with sailboats and water, and offers everything you need to whip up some simple, homemade meals while on your stay. Head down the hallway and you'll find two bedrooms, two bathrooms, and even a laundry room! You'll find the first bedroom in the hallway, complete with a walk-in shower. The first bedroom offers a queen size bed. The second bedroom offers a queen size bed as well, along with it's own attached bathroom, complete with a shower/tub combo. The laundry room is open for our guests, so feel free to pack lightly during your trip and wash clothes while on your stay! 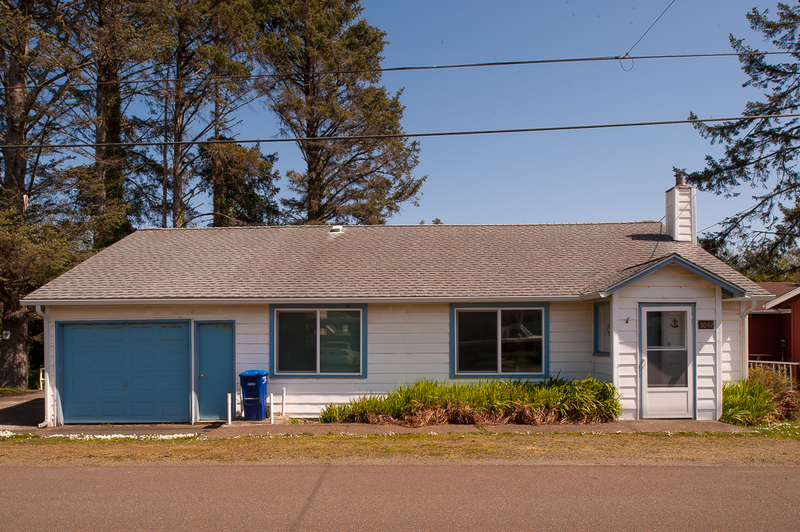 You and your family are sure to love this quaint home with close beach access in the heart of Lincoln City! A short drive north will bring you to several other restaurants, along with the outlet mall! Down south, you'll find the Taft district, snuggled up against the Siletz Bay, with more food options and plenty of glass blowing shops if you feel so inclined! 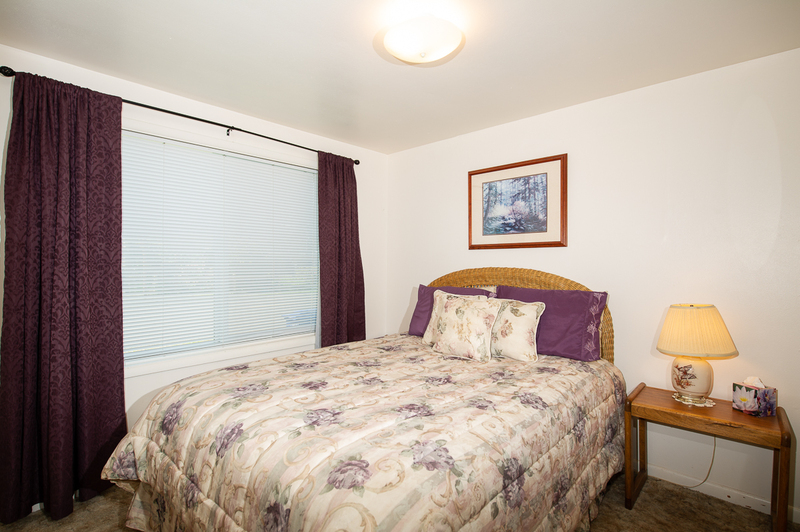 Book your stay at The Lighthouse in Lincoln City today! "Although this house is very dated, its location was perfect for our coastal get-a-way. Everything about this house is old (it even smells old) but it's so close to the beach and everything in Lincoln City that it makes up for it. The app was extremely helpful with check-in and check-out instructions and I would definitely stay here again. " "We enjoyed our stay in Lincoln City. We are family of 5 and brought 2 small dogs with us. The house had everything we needed including big grill and washer/dryer. It’s not the cleanest rental and furniture seems older but if you got kids and pets no need to concern about being so clean. I wish that backyard was fenced and the beach was closer. " "Hello Clarissa, Thank you for your review. We are glad to hear that you enjoyed your stay at The Lighthouse in Lincoln City. We are sorry that the home was not as clean as it should have been for your stay. We would have happily had housekeeping back out to the home to remedy this for you. We hope to have you stay with us again in the near future. Thank you again for your review." "What a wonderful house. 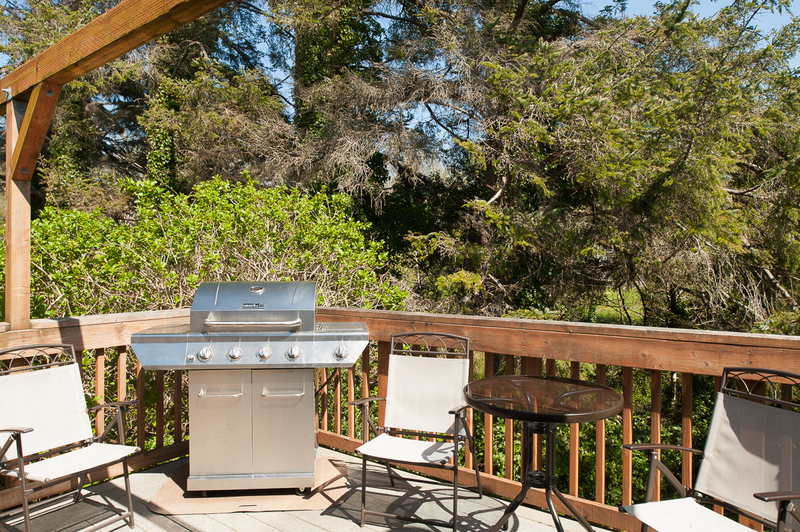 Great location, close to quiet beaches and easy access to Lincoln City"
"Hello Cheryl, Thank you for your review. We are happy to hear that you enjoyed your visit to The Lighthouse in Lincoln City. 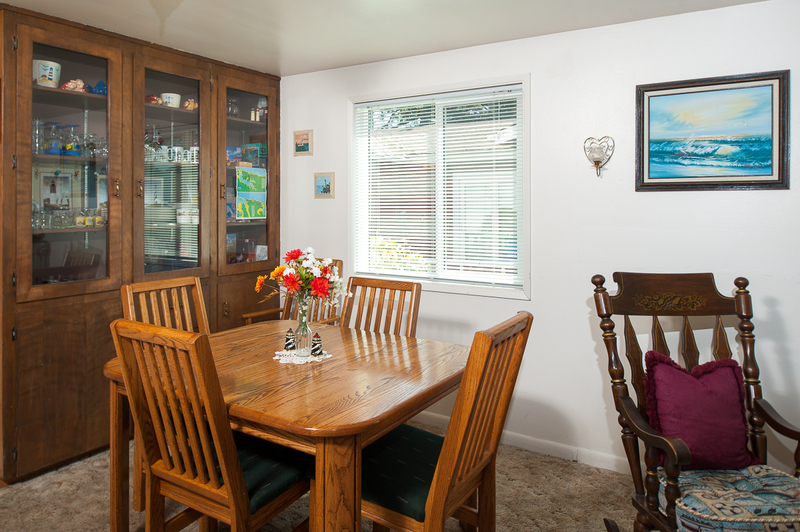 We hope you'll be back again soon to stay at this cute home in Lincoln City!" "Nice sized living area and kitchen, rooms weren’t cramped. Two bathrooms, washer and drier was so wonderful being that we were less then 10 min walk from the beach. House was stocked with dishes, we were able to cook one night. Plenty of pillows and blankets, water stayed hot through two + showers. " "We had a joint family get-away at the Light House in Lincoln City. I found the house to be clean and welcoming. We utilized the kitchen and cooked a family meal; afterwards we sat around the big dining room table and played games! The VHS collection had the adults giggling and the kids learned about an older technology. I really loved everything about the house, especially the dedication to the theme! The walk to the beach takes less then 10 minutes. You leave the house, walk to the end of the block, turn and walk down 2-3 blocks... but if you are carrying a lot, or thats too much, there was free parking at the nearest neighborhood entrances. We made it out to the morning high-tide twice during our stay - the kids loved finding agates and shells. With so much time spent out in the sand, the washer and drier were such a benefit! As was the back porch, for drying out wet clothes AND enjoying a morning coffee. The weather was amazing, the food was amazing. I would absolutely stay again!!!!! " "Nice house, good time. Carpets need good cleaning, oven was very dirty. other wise the house was clean and comfortable. " "The house was clean and well stocked with everything we needed. On a quiet street in a nice neighborhood. " "Nice back deck with BBQ, fully stocked kitchen, carpet smells musty. Overall we would stay again, however not a 1st choice." "Hello Jill, Thank you for your review. 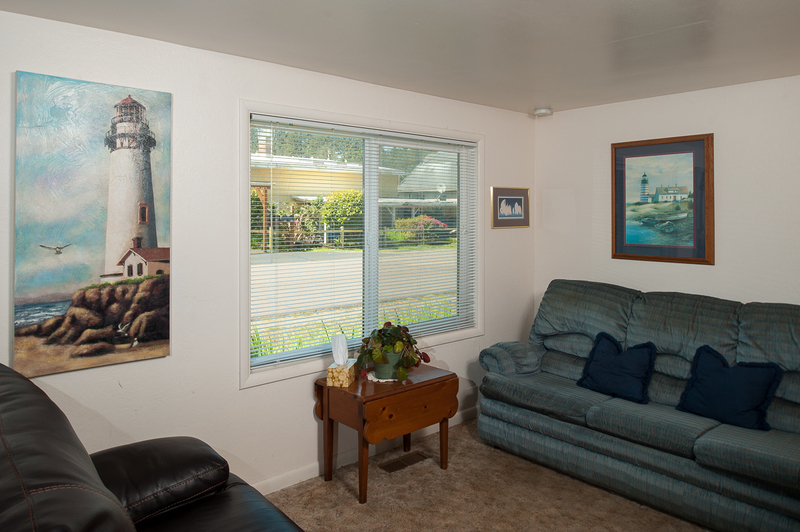 We are glad to hear that you enjoyed your overall stay at The Lighthouse in Lincoln City. We hope to see you back again soon on the Oregon coast. "